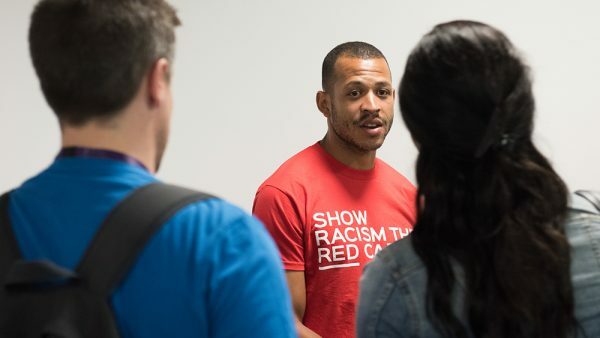 Liam Rosenior isn’t your typical Premier League footballer. 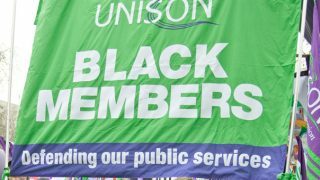 After doing a speech on tackling racism at UNISON’s national delegate conference, he was off to meet his wife and pick up his children from school. In between, he spoke to us at length and with some passion about his hopes for society. “Most people think footballers are dumb,” he says. “Just into WAGs and money. But I know lots of decent men in football. Men who are doing good things and using their position to do good for society. Liam is well known to football fans. His team, Brighton and Hove Albion, were promoted to the Premier League last season, after 34 years outside the top flight. 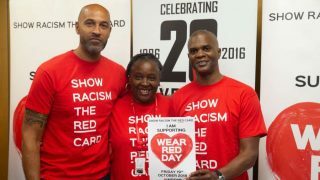 Liam’s father, footballer and coach Leroy Rosenior, was prominent off the pitch for his anti-racism work. He has been outspoken about the institutional barriers he faced during his coaching career and the abusive chants he endured while playing. Liam remembers going to see his dad play, and the chants. “I was at games, where I saw him go through that. It affected me. “Your first role model in life is your father. He was my hero and I wanted to follow in his footsteps. “He was a very strong advocate of changing things through football. We’re role models as footballers. We’re in the spotlight. I think you can use that as a vehicle to progress ideas. Does he think racism in football has improved? “Football is our national game, the world’s game. It mirrors society. You can tell what’s going on in society, by what’s going on on the pitch. “Also, I think there’s overt racism and covert racism. During my dad’s career, you could hear the chants but luckily for me that’s happened maybe twice in 13 years. Overt racism has improved but stereotypes are still there. 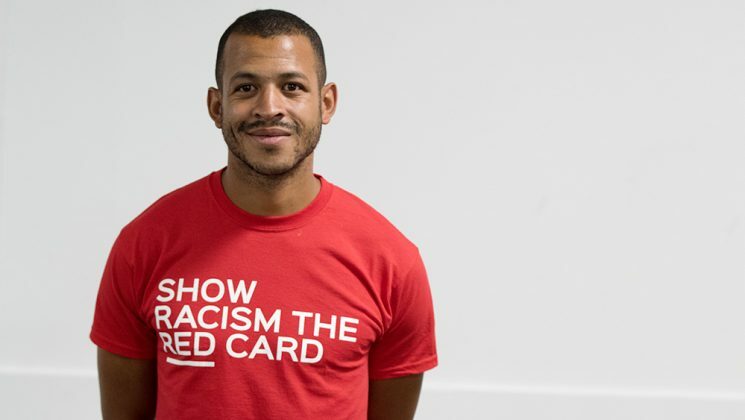 Liam’s work with Show Racism the Red Card brings him into contact with lots of young people. “As a footballer, you come to young people from a position they respect. 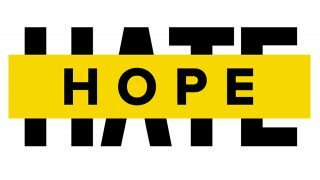 They see you on TV, playing in front of 30,000 people – but there’s a wider message we can bring to them. “They’re the people who will move things forward. Is it about me and being selfish? Or what people around us need as well. “This election has been a breath of fresh air. Young people are politically active. They’re researching why things are the way they are. 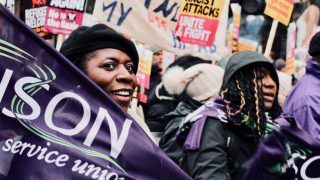 “And I think we’re going through a cycle where trade unions have become cool again! So what did he think about the election? 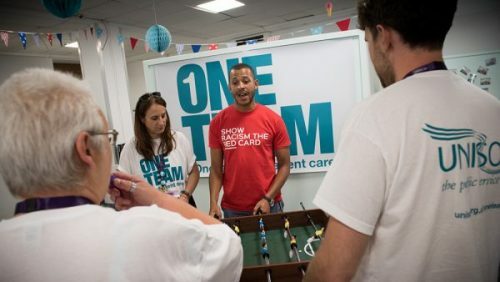 “Jeremy Corbyn’s campaign was a game changer. People often used to say to me, ‘it doesn’t make a difference who I vote for’. This election there was a choice. Labour captured what lots of people believe. “I don’t think lots of well-paid people in comfortable positions have a true understanding of the difficulties that some people are going through. I think it would shock them. Rosenior is, however, one of the few people who would have paid higher taxes under the Labour manifesto. Why did he still support Labour? “I would 100% be willing to pay more tax. “I’m fortunate enough that in my career I’m paid very well. But I want a society where we look out for everybody, not just the chosen few. “I might pay more tax but if people are happier, the streets are cleaner, there’s less crime – that’s a direct consequence of investing in people who aren’t as privileged as I am. It’s worth it. “I’ve been lucky enough to avoid injury as a professional footballer. But if I’d been injured, I don’t know what job I could have done, especially with my lack of qualifications. Would a job have been there for me? I could easily have been on the other side. So last but not least, we asked Liam – if Jeremy Corbyn were a football manager, what football manager would he be? What’s your greatest achievement? Being part of a family. Being a dad and a husband and being a part of a happy family. What would your superpower be? I’d be invisible. Just for 24 hours. That would be pretty cool. If you could go back in time, where would you go? I would love to know how the pyramids were built. If I hadn’t been a footballer, I would have loved to be an archaeologist. I like history. What’s your most embarrassing moment? Hmm, I don’t get embarrassed that easily. Actually, when I was doing PE at school, my pants fell down when I was doing star jumps. That was pretty embarrassing. Which living person do you most admire and why? People who’ve passed away is easy – Nelson Mandela, Muhammed Ali. Someone living… Pep Guardiola, the Manchester City manager. He changed football, revolutionised the way it was played. And he’s also a really down-to-earth, humble guy. What’s your greatest fear? One of my children passing away before me.